Coffee / Tea Mugs with quote for person who likes golf. Height 9 cm. 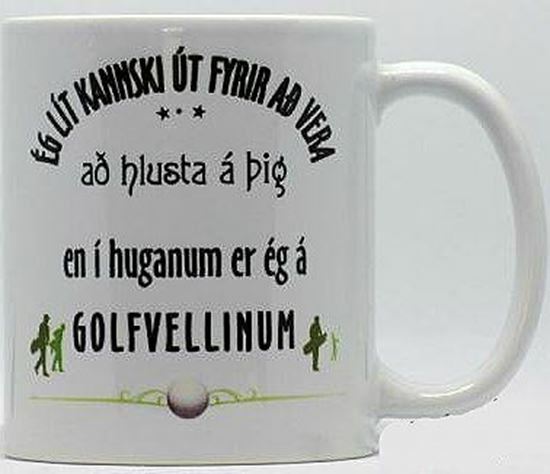 Text: Ég lít kannski út fyrir að vera að hlusta á þig en í huganum er ég á golfvellinum.